This week is the MLS All-Star game. A game that Zlatan Ibrhahimovic is too good to play. For our European readers, it is a silly game that follows the traditions of baseball, hockey, and basketball. The mid-season break to bring all the league stars together to play a top European team with players that do not play together week in and week out. If you can not tell, this writer is not a big fan of the All-Star game. So, how are the Magyars doing in MLS? For the most part, they are doing well except for Krisztian Nemeth in New England. He seems to be struggling for consitent minutes and production. Daniel Salloi continues to perform for Sporting KC, Zoltan Stieber is starting to show his class, and Nemanja Nikolics continues to score for Chicago. So, let’s take a look at how everyone is doing at the midway point. Last year’s Golden Boot winner is not going to win the Golden Boot again this year. His competition at Alanta United, Josef Martinez, is probably going to break the record with 11 games remaining. This year Nikolics is sharing goal scoring responsibilities with Alexander Katai who has 9 goals on the season. 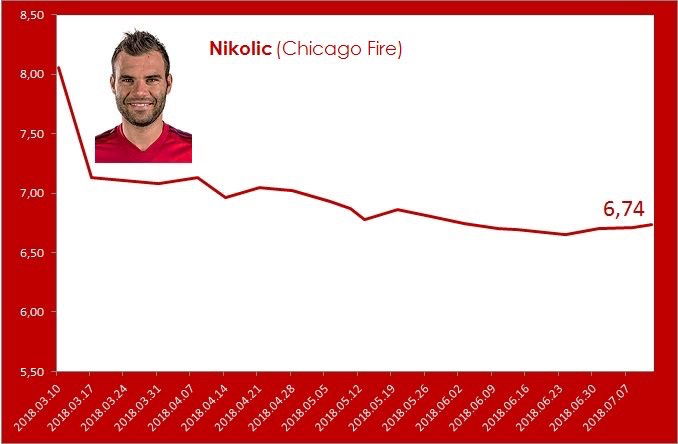 The Chicago Fire are not doing as well as they were last year. They have had some key injuries slowing down their attack. When Nikolics has his chances, he continues to finish them. 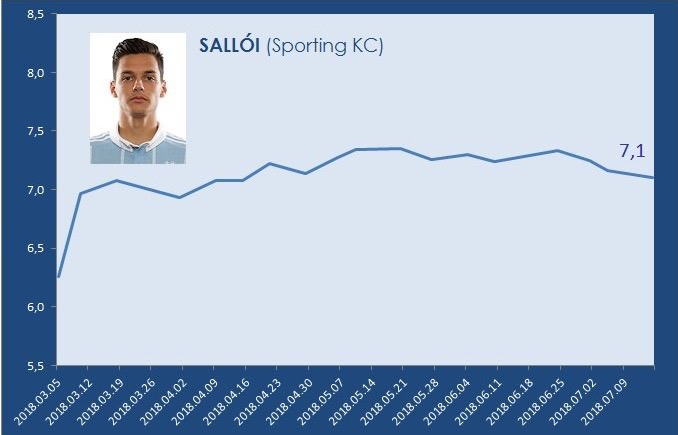 Daniel Salloi continues to improve this year. He is scoring goals and continues to provide assists to his teammates. Sporting Kansas City has had a rough run of games, so maybe the All-Star break is what they need. They are still in the playoff hunt. Stieber is the most improved player of the Magyar contingent. He is now showing his class with goals, assists, and some very nice passing. His team is not doing well. Despite the addition of Wayne Rooney and a beautiful new stadium, DC United still looks overmatched in most games. The only criticism you could make of Stieber is his defensive duites sometimes are lacking. And, he has given up the occasional turnover in midfield that has resulted in counterattacks against DC United. A couple of years ago, Krisztian Nemeth was the only Magyar to watch in MLS. When he came here, he did really well for Sporting Kansas City. He seemed to revive his career and used it to make money in the Middle East somewhere. He missed MLS and came back last year to the New England Revolution. His return has not been so spectacular. He is fighting for mintues with Juan Agudelo as Brad Friedel is pushing his players for minutes. Based on the new look Revolution, I am not sure how he fits into their system. Rumors are circulating that either he or Agudelo should be moved out. Nothing concrete has come from those rumors yet. Well, our Magyar players in MLS have had an interesting couple of weeks. Right now, it appears that we know who has what roles on their respective teams. 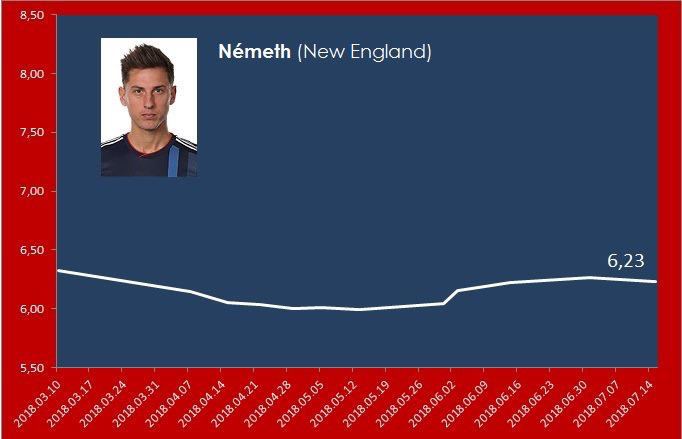 The situation with Nemeth in New England is puzzling because of his salary against the Revolutions salary cap. He is only getting 10-15 minutes at the end of games after the matches have pretty much been decided. While we see bits of quality, he is not getting enough time to truly show off what he is capable of doing. Stieber is the other player who new seems to be in the comes on with 15 minutes left. His impact in games for DC United has been little or nothing. From a fan perspective, this is disappointing to see because I always thought he was one of the better players out of Hungary. This week, he did not see the pitch because DC United were down to 10 men and holding onto the lead. So, that leaves Nemanja Nikolics and Daniel Salloi. By far, he is a big contributor for the Chicago Fire. His current goal tally is 4 for the sason after 5 games. He is only a goal behind the leaders so far. The Chicago Fire on the other hand are off to a slow start. I don’t know if it is the cold weather slowing them down. (It’s Monday April 15 and there is snow in the forecast for Chicago, as an example). The Fire look like they are really missing Michael De Leeuw who was a major contributor on the field last year. The Fire midfield just does not seem in sync even though they have Dax McCarty and Sebastian Schweinsteiger pulling the strings. With the loss of Matt Polster to injury, they have lost another offensvie weapon going up and down the flanks. The thing the Fire have going for them is the MLS is a forgiving league. A few good results will turn their fortunes around. Let’s hope Nikolics stays healthy and continue to score the goals. Salloi continues to contribute for Sporting Kansas City. He has 1 goal and 3 assists for his club. He continues to impress with his deceptive speed and technical ability on the ball. As a fan of Hungarian Football, I find him exciting to watch because he has the potential to be more than just work talent. This should be his breakout year in the league. Since Sporting Kansas City’s first game, they have shown much improvement in their play. Peter Vermes continues to demonstrate why his one of the best managers in the league. His teams are consistent. He has become the master in managing the MLS salary cap, while finding talent to work in his system. Well, based on the results of the Magyar National Team, I am sure our MLS Magyars are glad to be back in the league. With their new Belgian Manager, Magyar foci have hit a new low in the past year highlighted by some of the funny tweets on Twitter. The one positive perhaps was that Krisztian Nemeth did score for Hungary against Kazakstan. Here is what happened this past weekend on everyone’s return to MLS. Did not play. Did not dress. Don’t know what happened to him. I could not find him on an injury report. He was not mentioned on any of the MLS sites for his absence. The supporters blog said nothing either. I am guessing that they kept him off because of the travel during the week. Would he have had to travel from Budapest to Houston? New England did not need him, as they went on the road to get a 2-0 win over the Houston Dynamo who are tough at home. Good result for them. It as another battle of the Magyars with Daniel Salloi going against Zoltan Stieber. Salloi was coming off a good stint with the Hungarian U21 team. He started for Kansas City and went about 75 minutes. Not much to report on his play except he is looking very comfortable on the field now. As Salloi was leaving the field, Stieber came on as a 75th-minute substitute for DC United. But alas, he could not help them overcome the 1-0 deficit for either a point or to steal road points. Chicago secured their first points of the season with a come from behind 2-2 scoreline. Nemanja Nikolics found the back of the net again with a superb finish in front of goal off a Brandon Vincent cross. The Fire still has some work to do if they are going to have the same success as they did last year. Nikolics is the one bright start putting away the goals for the Fire that he can not seem to finish for the Magyar National team. It's another addition of Magyars in MLS, Week 3 edition. No Nemeth news this week. The rumors of his transfer to another club were quiet this week. Instead, the news being promoted is his being called up for the Magyar National Team. DC United had a home game at a makeshift stadium this weekend. They came out with a 2-2 draw. Zoltan Stieber put in another 70 minutes before being subbed off. You can see the highlights below. Nemanja Nikolics and the rest of the Chicago Fire went further north to Minneapolis-St. Paul for a cold one. They came up short losing 2-1 to start the season with a couple of losses. OUCH! Not the start they were hoping for. Sporting had another winning game at home. They beat the visiting San Jose Earthquakes 3-2. While the score looks close, SKC controlled most of the match. Daniel Salloi was once again instrumental in SKC success with an assist and about 80 minutes of work. Even the local SKC commentators are impressed with his maturation and contributions on the field. There will be no updates next week, as there will be no Magyars in MLS. Nemeth, Nikolics, and Stieber have all been called into the senior national team friendlies. Salloi has been called into the Magyar U21 team. This is your weekly edition of Magyars in MLS for week number two. The first game of the day on Saturday was the home fixture for the New England Revolution against Colorado. Both teams have new managers this year. Our Magyar here is Krisztian Nemeth. It was a strange week for Nemeth as rumors are floating around that the New England Revolution are floating him around the league to see if someone wants to take him. So, for those of you not familiar with MLS and its structure, the league owns the player contracts. So, think of MLS as one big corporation and each club is like a subsidiary of the corporation. Being shopped to another team is like transferring an employee to another factory that can absorb his salary. In the case of Nemeth, he is being shopped because he is on a $1 million contract. His wages are high for New England player considering the team have been historically known to be cheap. That being said, Nemeth came on as 75th minute sub for New England. Every touch and pass was positive for the time he was on the field. He demonstrated how he is in a classs of his own relative to his teammates. New Englad won the game 2-1 on a last minute free kick at the top of the box. Brad….Nemeth is one of your better players. Well, this was the game of the weekend. Both of our Magyar players on the field contributed positively to their teams performance. The game ended in a roller coaster 4-3 win for Sporting Kansas city. First blood was drawn by Sporting Kansas City who went up 2-0 in the first half. Daniel Salloi set up Kansas City’s 2nd goal with a run down the left wing with a nice pass on the ground to the trailing Russel who finished with aplomb. Salloi would prove to not be done as he contributed to the win in the end. Nemanja Nilkolics and the rest of the Chicago Fire looked like a team playing their first game of the season. Oh wait….that’s exactly what they were doing, playing their first game of the season. Their play was disjointed, slow, and pretty frustrating to watch. Nikolics did not see much of the ball in the first half. In the 2nd half down 2-0, they made a better effort to get themselves back into the game. It took the Fire another 20 minutes to find any semblance of hope. With the help of Sebastian Schweinsteigger, his cross found the head of their new Serbian import Katai to make it 2-1. Then things got real interesting. Shortly after their goal, a Katai corner kick found the head of Dax McCarty who’s header was too hot to handle for Melia and Nikolics gladly put it into the net for him. Score is now 2-2. Nikolics was not done. In the 81st minute, Brandon Vincent volleyed a cross right into the the 6 yard box for Nikolics to blast into the goal for his 2nd and the Chicago Fire’s go ahead goal. It is now 3-2. But alas, the Fire lead would not last for long. SKC would equalize as their new goalie spilled more balls than your little brother spills milk on the table. SKC tie it up in the 83rd to make it 3-3. Just when you think it may end in a tie, the younger Magyar Salloi sets up the final Guitierez goal with a back heel pass in the box to finish off the Fire 4-3. Man….what a game. Salloi is growing up. He is looking far more comfortable and making a positive impact in the game. Nikolics? He just knows where to be and scores goals when they are needed. So, the Magyars of SKC beat the Magyars of the Chicago Fire. Not much to report here. It was a game that Stieber and his teammates were the training dummies watching the Atlanta United ping the ball around them like a steel ball in a pinball machine. 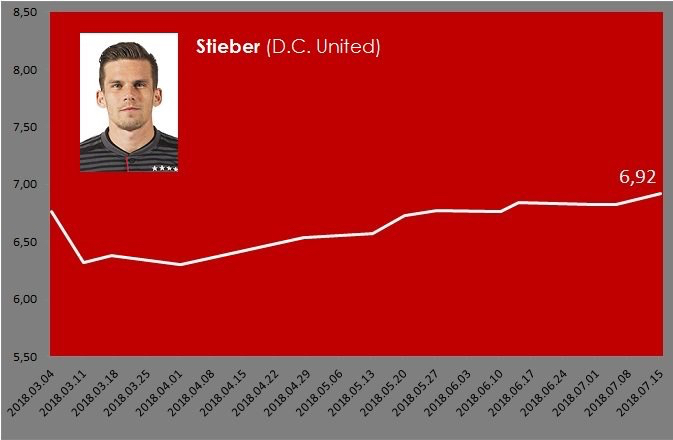 Stieber’s contribution was limite to 60 minutes with very little impact on the game. DC United would lose 3-1, but it could have been far worse for them. Atlanta had a lot of near misses to the 3 they were able to finish. That’s this week’s Magyars in MLS update. Major League Soccer started its new season this weekend. 2 out of 4 Magyars saw action this weekend in what is always the coldest weekend to start. While Europe is digging out from the Beast from the East, the US East Coast was recovering from its Noreaster. So, let’s take a look at what happened on the weekend. All we can hope is that Nemanja Nikolics was in his pijama watching all his competitors on week 1. The Chicago Fire were the only team who did not play this weekend. Chicago’s season opener will be on March 10th against Daniel Salloi and Sporting Kansas City coached by Hungarian-American Peter Vermes. So, next weeks report should be interesting. New England has a new Manager this year. Many will remember the name Brad Friedel from his time in the EPL at Liverpool, Blackburn Rovers, Aston Villa and Tottenham Hotspur. He is now testing his UEFA licenses as Manager of the New England Revolution. So far, the Manager had a challenging start to his new coaching career. The Revolution did not have a good day. 2 red cards and 2 goals conceded made for a disappointing start against the Philadelphia Union. Krisztian Nemeth’s contribution was sitting on the bench for the whole game. Hey Brad....play Nemeth. He knows how to score goals. Sporting hosted NYFC at home in a good game. 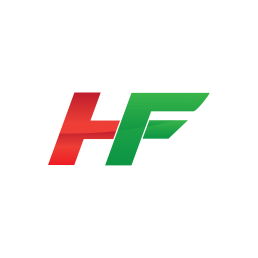 Sporting has seen an almost complete roster overhaul. Sporting went down 2-0. Daniel Salloi started the game on the bench. He came on in the 2nd half and almost sparked a comeback. He drew a penalty but the video review referee said it was a clean tackle. Salloi looked good in the time he spent on the field. Salloi and Vermes face Nemanja Nikolics and the Chicago Fire next week. Zoltan Stieber started and lasted 60 minutes for DC United in a 1-1 draw against Orlando City in Mickey Mouse land. A good start for DC United on the road.